I’m delighted today to welcome 10k Collective member Ashley Pearce. Ashley is one of the most active members of the 10k Collective mastermind, and he’s here to talk about selling on Amazon; specifically, the first 18 months. He’s not a billionaire Amazon seller or revolutionary startup software company CEO. Ashley is merely a guy who heard about the Fulfilment by Amazon program on the Entrepreneur on Fire Podcast, cobbled together about £8,000, and jumped into selling on Amazon. After hearing John Lee Dumas and Scott Voelker talk on the Entrepreneur on Fire podcast, Ashley was ready to hit the ground running. Software like Jungle Scout was about, but essentially Ashley crunched the numbers and analyzed the data the old fashioned way on a spreadsheet. He scoured Alibaba and Amazon.com collecting best sellers rank data and Chinese pricing, crunched the numbers and decided to move forward and place an order with a supplier. Nine months later, after a lot of hard work and a few stumbles related to the Chinese New Year, Ashley was selling in the Amazon Marketplace. The Hidden Factors Ashley Wished he’d Known Before Jumping into Selling on Amazon. The world of the Amazon marketplace is everchanging. This idea has been a common theme on Amazing FBA since getting off the ground in July 2015. The best strategies for making money by selling on Amazon in 2015 weren’t the best strategies for 2016, 2016’s strategies didn’t work in 2017, and 2017’s strategies won’t be effective in 2018. From 2013 to 2015 the sentiment was that a seller could buy almost anything wholesale from China and turn a profit selling it on Amazon. In 2016 the market changed. Competition had driven down prices and no longer could sellers easily find a vacuum and fill a product void with ready-made products from Chinese wholesalers. The focus for successful Amazon retailers had shifted from merely getting products on the marketplace to building brands. SEO had become more critical than ever. In my conversation with Chris Rawlings earlier this month we learned that the X-Factor for him when it came to getting his Amazon business off the ground was his ability to design differentiated spinal health products using CAD. The factor that drove Ashley’s early success was his background in engineering; aerospace, automotive, pharmaceutical, oil & gas, if it can kill you without proper engineering, he’s had his hands in it. So when it came to the product development cycle, things like CE marking and third-party safety checks were second nature. In fact, Ashley had experience in contractual, commercial, sourcing, purchasing and design. There was no learning curve. Everyone with a future in this business has an unfair market advantage that they can gain. The key to entrepreneurial success is identifying and exploiting the abilities or resources available to you that can give you an unfair advantage as well. The business that Ashley was in the process of setting up when he discovered FBA was called Manufacturing Network. The closest analogy he could give was to say Manufacturing Network is like Alibaba for the UK manufacturing supply chain. Manufacturing Network links product manufacturers up with purchasers based on their specific manufacturing process. This experience provided Ashley with an advantage when it came to selecting manufacturers in China. He could immediately look at an Alibaba company page and see an array of products, identify the product manufacturer’s specialty, and recognize the factory or agent for a factory that specializes in the manufacturing process required to produce his products. Knowing the difference between injection molding, ceramics, CNC machining, metal plating or any other manufacturing process can provide even the most inexperienced seller with an advantage in product acquisition during the early stages of private label selling on Amazon. One year and eight months. That’s how long Ashley has been selling in the Amazon Marketplace. He hasn’t quite reached the point where he can quit his job and sit on a beach selling products in the virtual space, but he has been able to scale back his day-job hours to a part-time workload as he attempts to scale his Amazon business. In 2017 Ashley’s Amazon business grossed roughly $400k. This year, based on data-driven projection methodology and scaling factors, he’s set a realistic target of $750k. Part of what makes Jeff Bezos such a successful businessperson is his ability to view things from the long-term perspective. When we view Ashley’s business in six-month slices, mid-2016 looks like a disaster, mid-2017 looks like moderate success and early 2018 looks like a fantastic achievement. From a big-picture perspective, Ashley started a successful Amazon retail business in roughly two years projected to sell $750k in 2018. 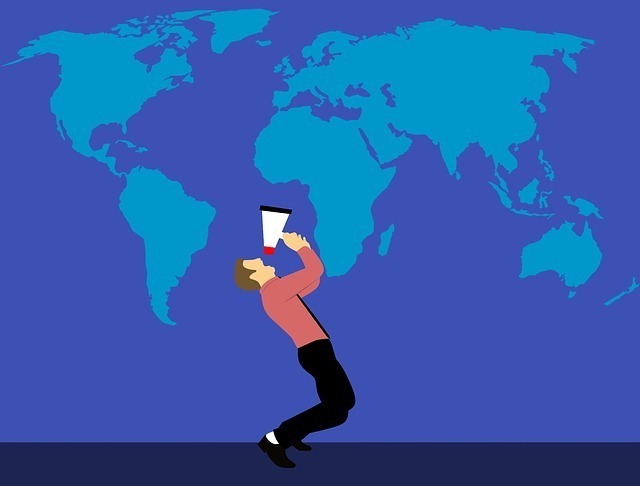 Whether you’re an established businessperson or a budding entrepreneur, if you can view the landscape from with the long-view, you’ll beat the myopic manager every time. As sellers begin to scale their Amazon businesses, they’re going to need capital. For most, the concept is counterintuitive. However, as retail companies scale, their necessity for cash flow grows as well–often past what capital injection their growing sales can provide. We’ve talked at length about how bad an idea it can be to launch a new product or start a new venture using credit card. But when you’ve got a product with a proven market, and you merely need a short-term capital investment so you can keep inventory in stock, debt can be a high-risk, high-reward solution to cash flow issues. 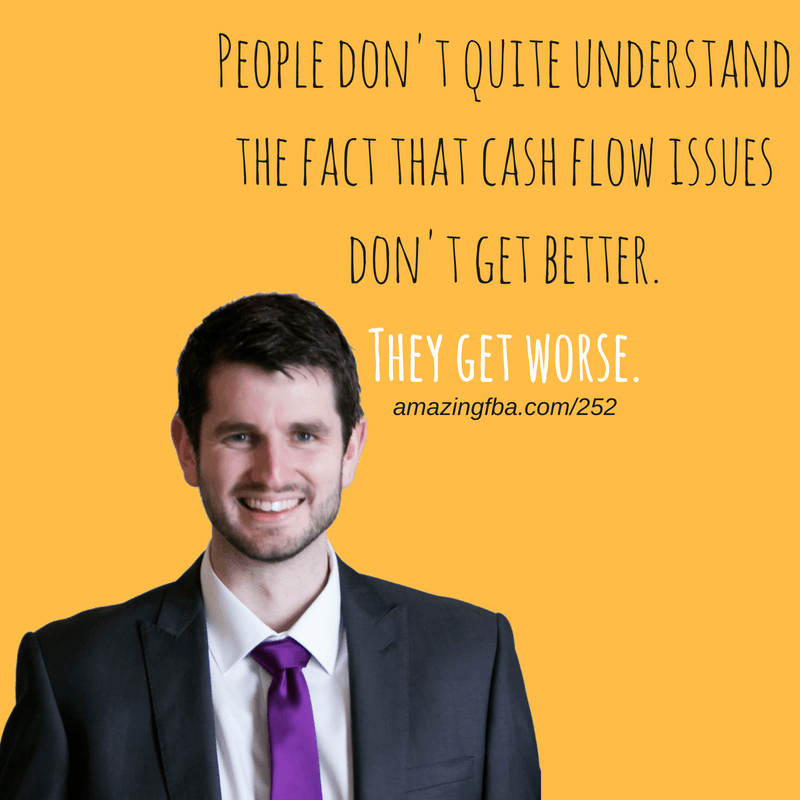 Cash flow problems get worse, not better, with an inventory based business. The more effectively growing retail operations deal with their cash flow problems the faster they can grow and farther they can go. One of the best ways to get out in front of the cash flow monster is to build a financial model. Go online, download a google sheet template for cash flow forecasting and play with the numbers; this process can help all inventory based sellers to head cash flow issues off at the pass. Always keep in mind though, that these projections are fallible. They’re just a model. If the numbers are tight on the back of an envelope, they’re never going to survive the scrutiny of a spreadsheet or the market. One of the biggest regrets Ashley conveys about his experience as a startup Amazon seller was his reluctance to seek out a legitimate community of sellers. The Amazing FBA Mastermind Programme is an incredible resource to learn how to sell on Amazon and later on grow your thriving Amazon business to $1 million in turnover and beyond. Stay tuned next time for part two of my interview with Ashley Pearce where we’ll focus on the established seller wanting to grow their Amazon startup into an Amazon juggernaut.